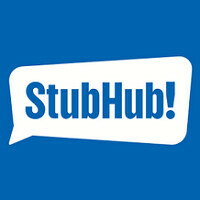 StubHub is an app where tickets to sporting events, concerts and other events are bought and sold. An update to the app adds a new 360 degree feature which works with VR headsets like Samsung Gear VR and Google Cardboard. Using the app and this new capability, you will be able to see a "virtual" view of the playing field or the stage from the seats you are looking to purchase. Turn your head around while wearing the headset and you will know exactly what to expect if you purchase those ducats. This means that there won't be any negative surprises when you settle into your seats before a game or a concert. Even if you don't have a VR viewer, you can move your phone around to check the sight lines from a particular seat. The only downside to this feature is that as of now, it is available for only two venues which include NRG Stadium in Houston and AT&T Park in San Francisco. The former will be hosting the NCAA Basketball Championship this week, while the latter is the home park of the San Francisco Giants. More stadiums and arenas will be added in the future. With the latest update to the iOS version of the app, StubHub now supports Watch OS2 which allows those with the Apple Watch to buy and sell tickets directly from their wrist. Is it console-exclusive or is it compatible with mobile phones? Great question. The PlayStation VR is used with PlayStation 4 and combined with the PlayStation Eye camera to enhance the VR experience. You haven't answered my question yet, LOL. However, I'm just glad the Playstation Eye wasn't just another Kinect. Has the Playstation Move been discontinued though? I don't get any more news from it nowadays. Now this is an amazing app. Like going to concerts....you would think floor seats are the best...until you actually get them. If you arent in the first 5 -10 rows...might as well get some seats in the stands but near the stage. And forget floor seats all the way in the back. Might as well get the cheap nosebleed seats all the way up top. At least you are near the exits at the top..
VR is awesome. Was using my GearVR to watch the NCAA Final Four last night. Samsung had a camera in one of the front seats for last night's games. Exclusive to the GearVR.